1310s 42[North Western] Brigade TRF. Subdued. British Army. 42nd [North Western] Brigade TRF patch. Subdued. Colour version [code 1310c] also a..
1311 51st [Scottish] Infantry Brigade TRF patch. British Army. 51st [Scottish] Infantry Brigade TRF patch. 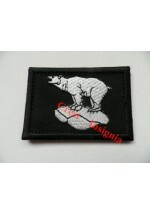 ..
1316 3rd [UK] Division TRF patch. British Army. 3rd [UK] Division TRF patch. ..
1317c 1 Mechanised Brigade TRF, colour. British Army. 1st Mechanised Brigade TRF patch. Colour. Subdued version [code 1317s] also a..
1317s 1st Mechanised Brigade TRF patch. Subdued. British Army. 1st Mechanised Brigade TRF patch. Subdued. Colour version [code 1317c] also a..
1318c 12 Mechanised Brigade TRF. Colour. British Army. 12th Mechanised Brigade TRF patch. Colour. 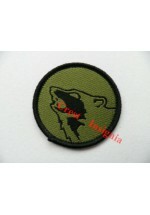 Subdued version [code 1318s] also availa..
1318s 12th Mechanised Brigade TRF. Subdued. British Army. 12th Mechanised brigade TRF patch. Subdued. Colour version [code 1318c] also ..
1323 UK support command. TRF. British Army. United Kingdom, Support Command Wing. TRF. ..
1326c 49th [Eastern] Brigade TRF. Colour. British Army. 49th [Eastern] Brigade TRF patch. Colour. Subdued version [code 1326s] also a..
1326s 49 [Eastern] Brigade TRF. Subdued. British Army. 49th [Eastern] Brigade TRF patch. Subdued. Colour version [code 1326c] also availab..
1334 160th [Welsh] Brigade. TRF. British Army. 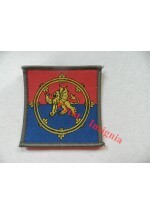 160yh [Welsh] Brigade TRF patch. ..
1339 38th [North Irish] Brigade TRF. British Army. 38th [North Irish] Brigade TRF patch. ..
British Army. 11 Infantry Brigade TRF patch. ..
1349 1st Recce Brigade TRF. British Army. 1st Recconnaissance Brigade TRF patch. ..
1350 Royal Logistics Corps TRF. British Army. Royal Logistics Corps TRF patch. 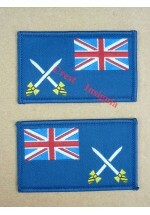 ..
1351 RLC Maritime units arm patches. Royal Logistics Corps, Maritime Units, arm qualification badges [pair] ..
1352 102nd Logistics Brigade TRF. Royal Logistics Corps. 102nd Logistics Brigade TRF patch. ..
1353 101st Logistics Brigade TRF. Royal Logistics Corps. 101st Logistics Brigade TRF patch. ..
1354c 104th Logistics Brigade TRF. Colour. Royal Logistics Corps. 104th Logistics Brigade TRF patch. Colour. Subdued version [code 1354s] al..
1354s 104th Logistics Brigade TRF. Subdued. Royal Logistics Corps. 104th Logistics Brigade TRF patch. Subdued. Colour version [code 1354c] al..